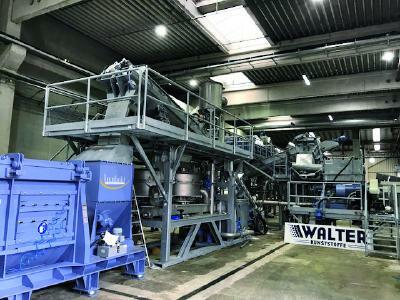 Granulators by nature are high energy consumers based on the level of work and tough cutting applications they are placed in. 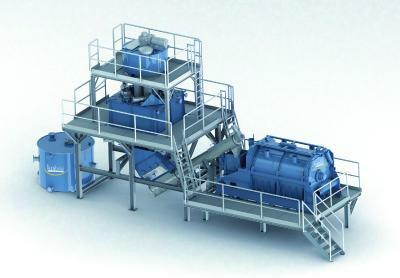 As part of any recycling plant they almost always become the machine with the highest installed drive capacity. 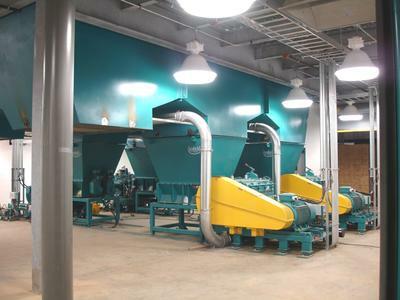 As energy savings is a hot topic in the news media and concern for consumers it seems quite logical to focus on these machines to improve their efficiency. 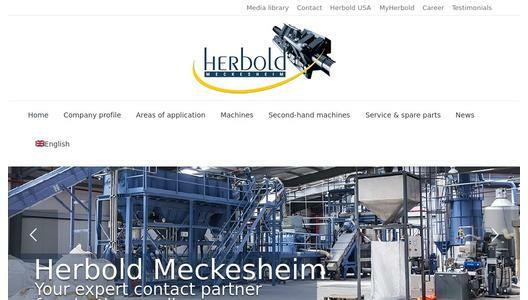 HERBOLD has published several success stories with our forced feeding granulators, the SB series with increased efficiencies and power savings that a patent in the USA has been applied for based on their unique design. Two years after their commercial launch, as many as 80 machines of this series have been sold and the customer's feedback was unanimous: energy savings between 30 and 50% have been achieved. 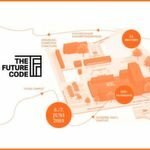 This means reduced operating costs and money savings in the amount of 15 to 25 thousand Euros per year with a 75 kW granulator operated in three shifts. 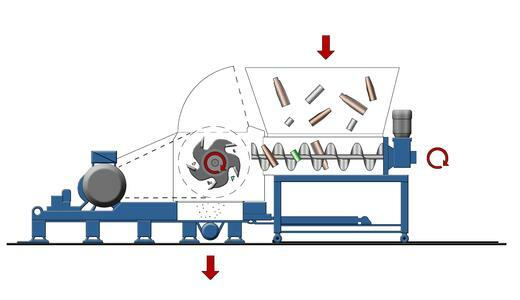 - There is an intermediate buffer above the screws, thus increasing the utilisation ratio especially if there is a shredder with an oscillating hydraulic ram just before the granulator. The hydraulic ram pulsates as the material is discharged and the buffer in front of the granulator ensures that even with noload operations the granulator is used to capacity. - Increased efficiency and output means a smaller machine can achieve rates that would have required a much larger machine in the past. Smaller means less overall equipment cost, reduced foot print, reduced labor costs and substantial savings on wear items. The force feed concept is particularly efficient for sizereducing of beverage bottles. with the addition of water to the size reduction step and the friction - a by product of size reduction provides a washing action that removes contamination during the sizereduction step. Reducing blade, screen and internal wear of the granulator at the same time, basically a win, win. There are 5 different sizes of the SB series from 1 to 12 t/h throughput (with a 12mm- screen) and with drives from 45 to 315 kW.